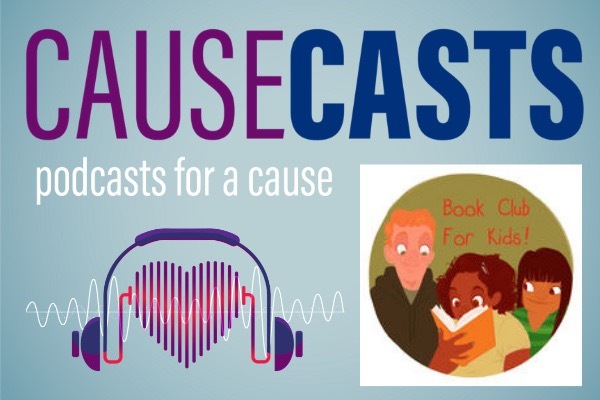 I was thrilled to have Kitty Felde, host of the podcast: Book Club For Kids, join me as the sixth guest on the Causecasts podcast . As part of a thank you for her time, we are hoping to raise awareness and money for Access Books. Their mission is to provide quality, high-interest books to school, classroom and community libraries to inner-city schools where at least 90 percent of students live at or below the poverty line. Since 1999, Access Books has donated more than a million books, and each year, approximately 18,000 pre-kindergarten through middle school-aged children participate in our program. So many inner-city children never leave the five block radius of their home. Books can give them another world. In this episode of Causecasts we welcome the host of Book Club for Kids, Kitty Felde. Kitty started the podcast a few years ago as way to create lifelong readers out of middle schoolers, a cause that we fully support! Coming from a career in public radio broadcasting and talkshows, Kitty was perfectly positioned to make the change to the podcast format, something that she views massively suited to the communication of ideas and the forwarding of causes. The idea of this podcast actually dawned on Kitty while she was still hosting her, adult aimed, radio show and she noticed how many children would end up, unwillingly listening to the radio with their parents. This prompted her to want to create something geared towards the younger generation and when the opportunity for a career change presented itself, Kitty chose the path to do just that. Thank you for your time and donation!